A (not so) Desperate Hausfrau: Paris: The "Must-Sees"
Hey, remember a little bit quite a while ago when I went to Paris with my friend Brit-a-nee? And remember that post about Paris when I was so bold to say at the end "More Paris adventures to come in the next few days" ? Perhaps I should have said in the next few weeks because here we are, a month removed from our trip and nearly two weeks from "Paris: Day One" and I am just now bringing you "Paris: Day Two". And actually, I'm not even sticking with that title sequence anymore. We're covering the "must-sees" today. You know those things that when you go somewhere everyone says "Oh my gosh, you have to see blah and blah and blah!!!" And then when you come back they say "Wasn't such and such just soooo amazing? Didn't you just love blah and blah and blah?!?" Yeah, those must-sees. But first, let me give a shout out to my 5 AM internal alarm clock that wouldn't let me sleep on Sunday morning. Without you, this post may never have made it out of my head and into the world wide web. So thank you for the lack of sleep. You are so kind. Paris is rich, rich, rich with famous landmarks and tourist attractions. And while Britney and I spent a lot of our time just exploring all the little nooks and crannies of Paris, we coudn't not hit the highlights. I mean, they are famous for a reason; for their impressive architecture, rich artifacts and historical significance. So, allow me to be your tour guide as we hit the highlights of Paris in one quick (hopefully) blog post. 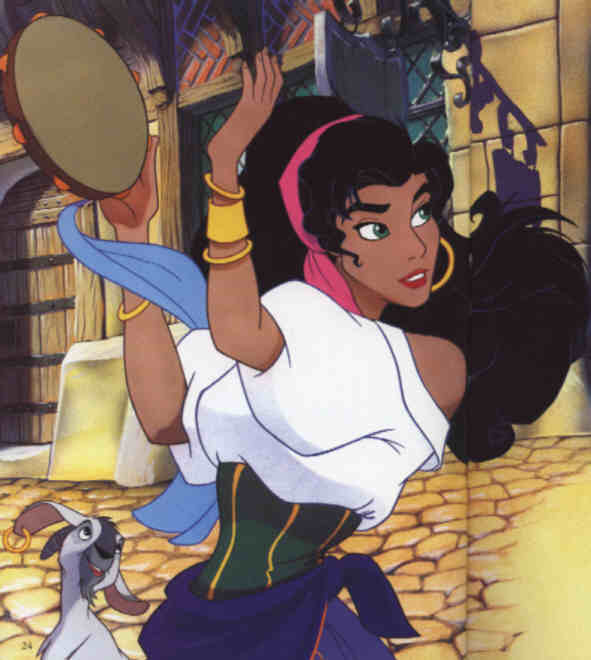 Made famous by Disney and the lovely Esmerelda. Okay, maybe just for the girls in my generation. Okay, maybe just for me. Regardless of whether you learned about it from a Disney movie or some other, more educational, source, somehow, in your lifetime, you have heard of the Notre Dame Cathedral in Paris. That's because it is the most popular monument in Paris, attracting 13 million visitors each year. Located on the Île de la Cité, the Cathedral that we know today took nearly 200 years to complete. The church is a masterpiece of French Gothic architecture and stained glass and also has a rich musical history that has been influential within the church and beyond for over 1500 years. Despite it's "popular tourist attraction" status, the church remains an active place of worship and also serves as the official chair of the Archbishop of Paris. 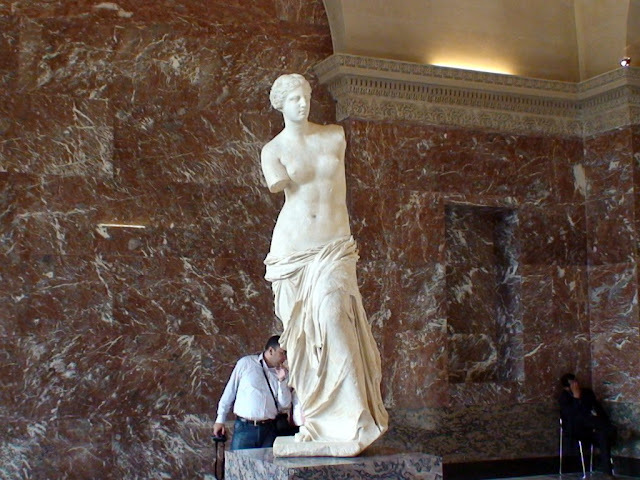 The Louvre, according to Wikipedia, is one of the world's largest museums and the most visited art museum in the world. Originally a fortress established in the 12th century and later converted into a royal residence in the 14th century, the Louvre was first established as a museum in the mid 18th century when high demand for a public gallery led to a portion of the royal collection being put on display for public viewing. 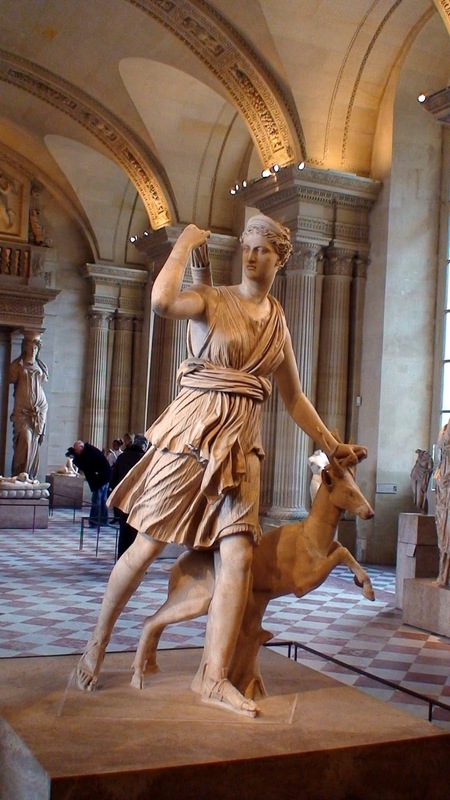 In the late 18th century, after the imprisonment of Louis XVI, the Louvre officially became national property and it soon became a full public museum, displaying over 700 unique paintings and objects. The museum has grown in both its size and collection over the years and now holds 35,000 objects spanning from the prehistoric ages to the 19th century displayed over an area of 652,300 square feet. The place is seriously huge. 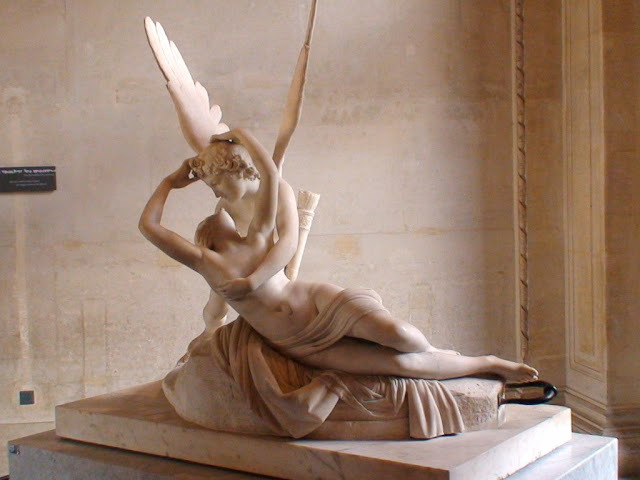 Also called "Winged Victory of Samothrace"
The Psyche was one of my favorites. I thought it was so beautiful. In the late '80s, a new entrance was constructed in order to handle the large amounts of visitors each day. The pyramid, in my opinion, seems a little out of place with the classic French architecture of the museum, and actually, the futuristic design has caused some controversy, but regardless, it's still a pretty interesting architectural structure. Jardin du Luxembourg aka the Luxembourg Gardens. The second largest public park in Paris, this was Britney's favorite stop. We were there just as the leaves were beginning to fall, and I can imagine in the summer this place is bursting with color, but the change of season brought a beauty in it's own right. We loved all the many different and interesting flowers they had. Place de la Sorbonne, the square where one of Europe's oldest universities, Sorbonne, is located. Le Sainte Chapelle, a very small chapel with beautiful stained glass windows. Place Vendome, with the famous Vendome Column. Here you will also find the Ritz Carlton as well as several luxury stores, including Chopard, Cartier, Chanel...you know, the really cheap stuff. Nothing but super affordable shopping for super normal people like us here. Yes sir. I really hope you read my sarcasm in that last bit. Really, we could be here all day listing all the many, many, many, many, many sites of Paris so I'll just stop and leave it at that. I mean, I pretty much covered it all. What's that you say? I'm missing one thing? Oh yeah, this! Okay, to be totally honest, I have no idea what that is. I'm sure it's something important, and I should be a little more educated and know, but I just thought it was a really cool building so I snapped a shot of it. I also got a picture of this strange tower thing. No clue what it is though. Not. One. Bit. Just thought it looked interesting, that's all. Whatever it is, it's seriously massive. Just look at how tall it is compared to the rest of the Parisian skyline. Maybe it's some kind of roller coaster ride or something? If anyone knows what that is, please feel free to fill a girl in. My private school education has failed me on this one. Okay, obviously I'm joking here. Just trying to bring a bit of fun cheese into a very long, and somewhat educational post. Hope I didn't bore you too much. That is, of course, if you're even still hanging with me at this point. If you are, than thank ya', thank ya' for your time. And have a happy Monday...or a happy whatever day it is when you read this. Au revoir! pictures bring back memories when I was there. Thanks Aunt Geri! Glad you're enjoying it. Love you! I love the pictures -- and, true story, those pictures do capture how "massive" that thing is! I could relate to many of these sites and pictures since we too did the one day must see tour of Paris. Thanks Cara for the fun tour! You would be a cool history teacher! I love you!